My friends at Think Tank Photo just released three new versions of its award-winning Shape Shifter backpack. These backpacks essential feature is that you can expand them to hold your gear and then contract them when empty, thus decreasing their profile. They come sized for 15” and 17” laptops. The new Naked Shape Shifter is an entirely new concept in backpack in that you can configure its interior using your existing Think Tank modular components. This way you can transport your belt system inside the backpack. If you would care to purchase one of these or any other Think Tank product, please use the link on the site and help support The Photo Video Guy. 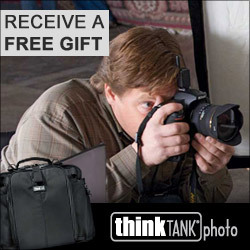 Santa Rosa, Calif. – A revolution in backpack design when it first released, Think Tank’s Shape Shifter expanded and contracted to hold gripped camera bodies and a laptop. In response to input from professional photographers, Think Tank has released the Shape Shifter in three new configurations. The Shape Shifter 15 V2.0 is designed to hold a 15” laptop and the Shape Shifter 17 is designed to hold a 17” laptop. The Naked Shape Shifter allows photographers to attach Skin Pouches or Lens Changers inside to create a totally customized modular backpack.